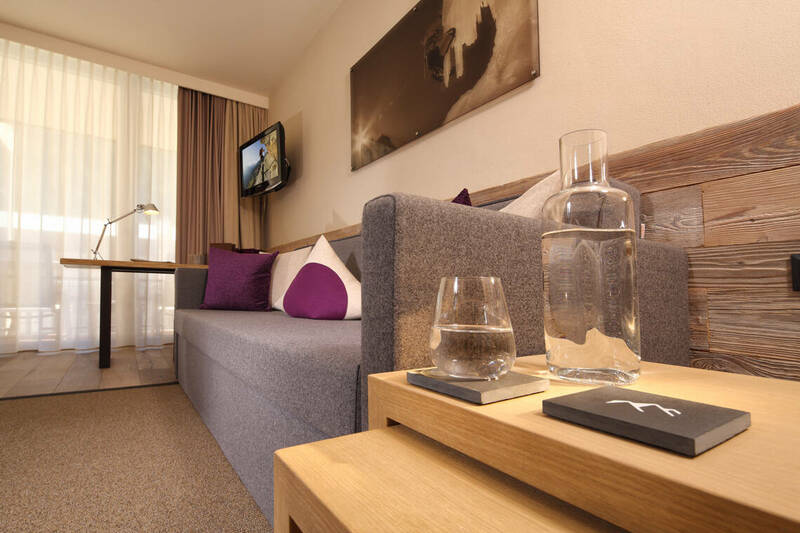 From the rooms in the Deluxe category, guests have a panoramic view of the mountains of Sölden. The rooms on the third and fourth floors are furnished with spacious balconies. The rooms on the second floor impress with individual sun terraces. 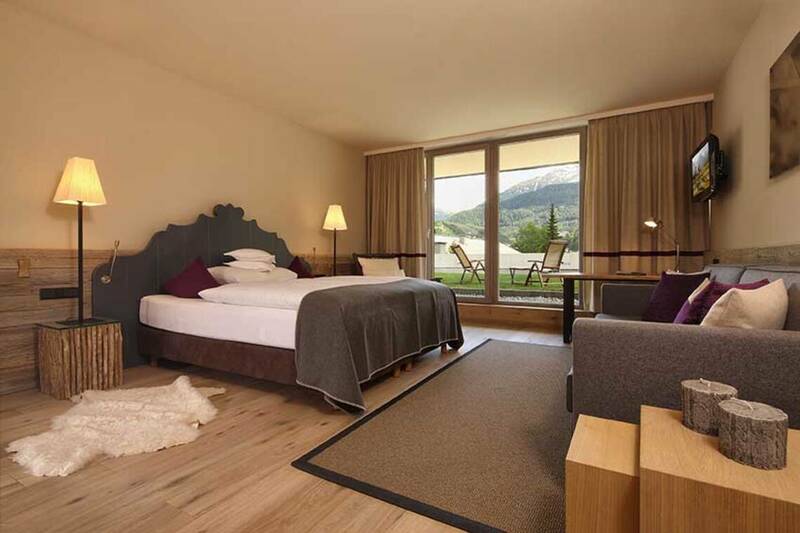 Apart from the spacious living and sleeping area (optionally with a double bed or Austrian twin bed), the Deluxe rooms are especially convincing due to their marvelous panoramic view of the Ötztal Mountains. The living space of the Deluxe rooms is furnished with a comfortable rocking chair and a large couch. Our Deluxe suites are also available with a connecting door to Standard category rooms. A plus in space, comfort and privacy for parents as well as children is guaranteed. 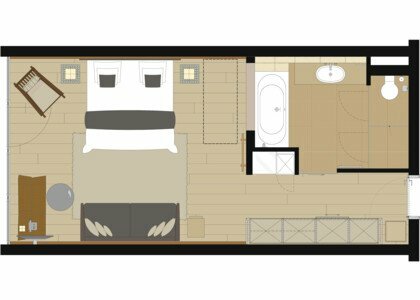 Three corner rooms on the second and third floors are part of the Deluxe category. These rooms are constructed like squares and are distinguished from others in the category by double sinks as well as the slightly smaller balcony. For our guests who wish to both feel and see the energy of the Ötztal Mountains also in their rooms. Space for the entire family – here you can find our Family Suite!